There’s nothing quite like rally driving experience, so why not give somebody you love one of our gift vouchers this Easter? When you book one of our driving experiences, your loved-one is guaranteed to have a rip-roaring time. 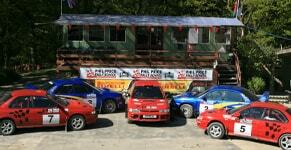 Our rally school has over three miles of rally stages set in the heart of Wales. What better place to exercise those driving skills than the rugged Welsh countryside where you can try plenty of corners, straights and jumps? Our courses include our One Day Intense Course, which is the ride of a lifetime for any motorist, letting them experience top speeds like never before and enjoying a heart-stopping competition against other drivers. We also have corporate and group courses for a minimum of 6 participants, and advanced courses for those looking to pass their MSA licence. 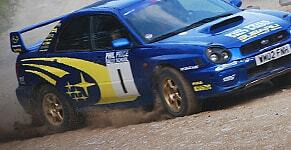 Breath-taking views from our rally stages and super-passionate instructors. The perfect original gift for any occasion, our driving experiences offer excellent value for money, with as much time spent behind the wheel as possible. Courses are only 50% to pay in advance and the rest to pay on the day.